Welcome to Andover’s lineal park. Whether you are beginning or ending your journey, Andover is the eastern terminus of the Red Bud Trail. 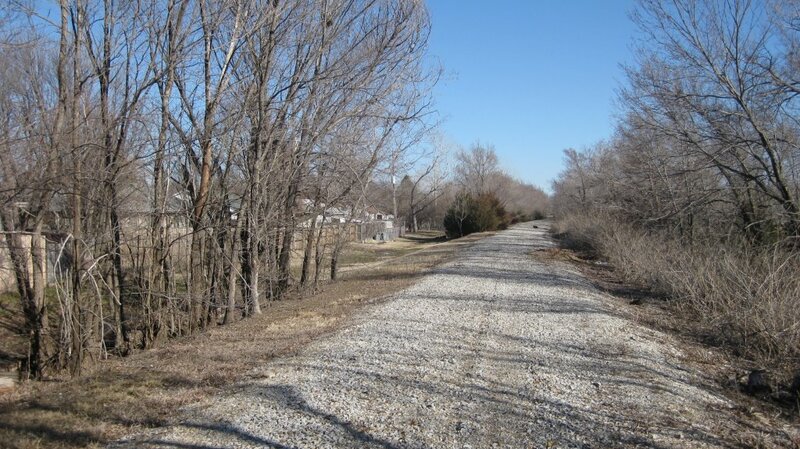 From this point the trail stretches 10 miles east to Augusta and 11 miles west to Wichita downtown. Andover-Augusta RailTrail Initiative (AARTI) Andover’s Bikeway, a.k.a., Redbud Trail, is a stretch of hike/bike path that runs along the abandoned railway. Going through Andover the path crosses Hwy 400/54 by Santa Fe Road (hopefully KDOT will put in a pedestrian bridge) and the trail heads east into Augusta, where it meets up with the Augusta proposed bike path. 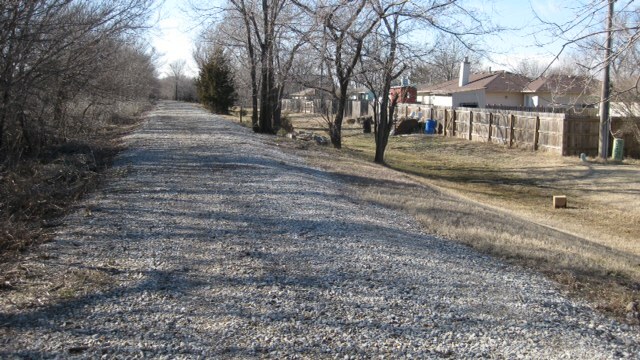 The Redbud Bike Trail in northeastern Wichita is built along the former Burlington Northern Santa Fe rail corridor. Along the 11 miles on the Sedgwick County side, Wichita has 6 miles paved concrete route, the trail passes city parks, employment hubs, and the Wichita State University campus. 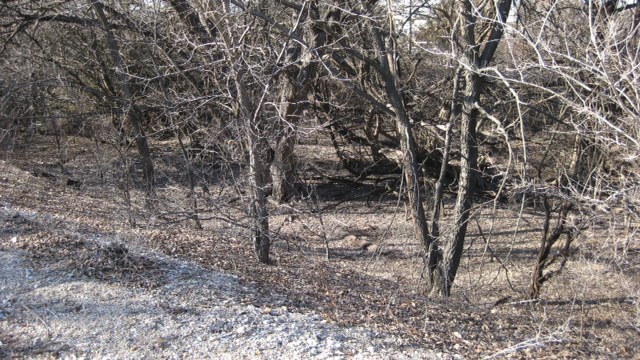 The Wichita side trail stretches 11 miles, intersecting with the K-96 bicycle path. A new trail, the McAdam’s Bike Path now links K-96 Bike path with the Canal Hike and Bike Trail. The Red Bud trail continues to Butler County Line / 159th, where the City of Andover has a 10’ wide sidewalk to 13th Street. From 13th Street to US400/Kellogg the City of Andover has crushed limestone. 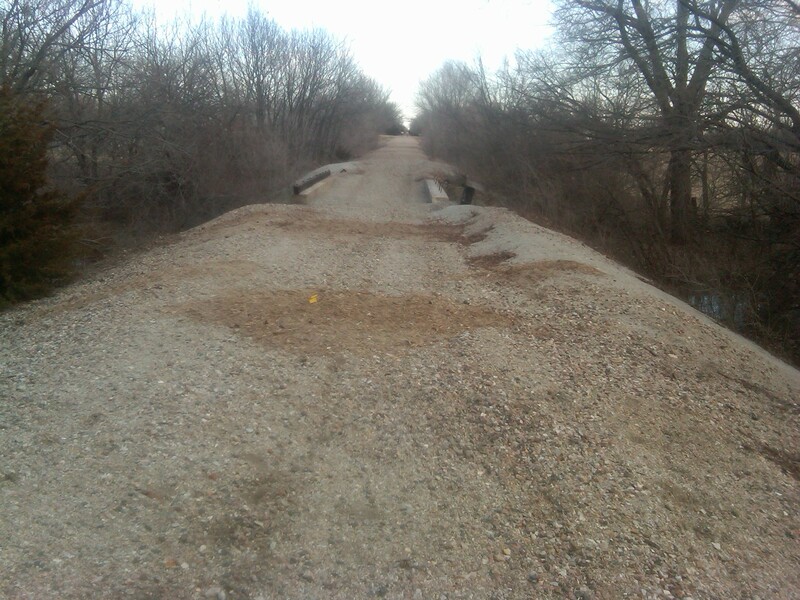 From US400/Kellogg, going east, hopefully in the future AARTI will continue the trail with crushed limestone to Augusta. The Red Bud trail follows the historic corridor of the former St. Louis-San Francisco Railroad (later changed to Burlington Northern Santa Fe rail corridor (BNSF)), construct began in 1880. The BNSF contributed greatly to the economy of the mid-Kansas by encouraging development of several towns along its route. The railroad became the lifeline of many communities by importing manufactured goods from around the work, and exporting local commodities such as corn, hay, livestock, clothing, etc. Railroads provided a quick and convenient transportation and even delivered the mail. The first passenger train went through Andover in 1885 and the last passenger train in October 1960. In 1995 the Santa Fe (Atchison Topeka and Santa Fe Railroad) merged with the Burlington Northern Railroad to form the BNSF Railway. Today, trail users can rediscover the railroad heyday as they travel over truss and trestle bridges and past restored depots, making the grade into towns and villages where trains were once anticipated. Yet there is much more to experience beyond the culture of railroads. Generally the park is 100 wide and is dissected by a 10-foot-wide trail, surfaced by concrete within the city limits and crushed limestone called “pug” outside the city. Private land borders most of the park. 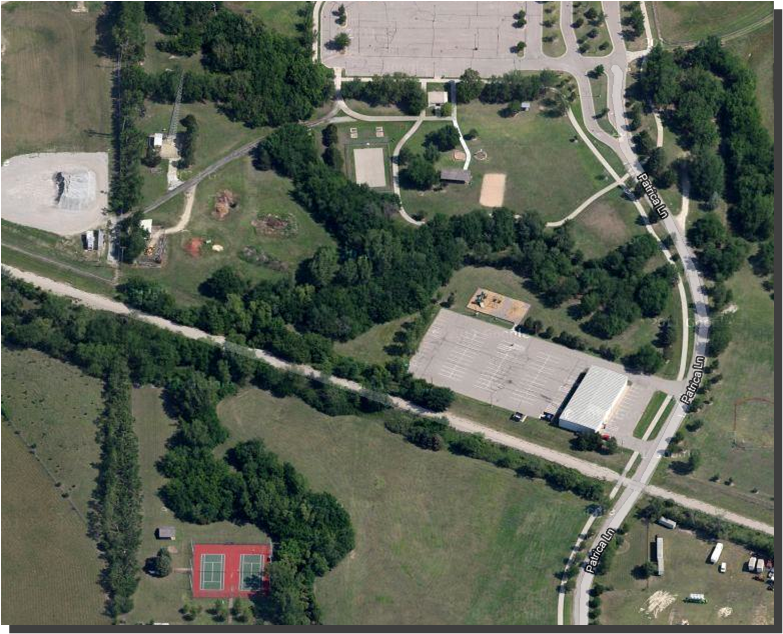 There is one trailhead at 13th Street Sports Park, and 2 additional parking areas. The park is open during daylight hours to non-motorized forms of recreation. You can access the bike path in downtown Andover at Main Street, Andover Road or 13th Street Sports Park and from the eastern terminus at the Augusta Hike Bike Path, by the Augusta Depot. For additional updates send us an email at aartitrail@gmail.com and we will add you to our mailing list. AARTI’s board meetings are the 3rd Wednesday @ Andover Public Library ~Andover Central Park. 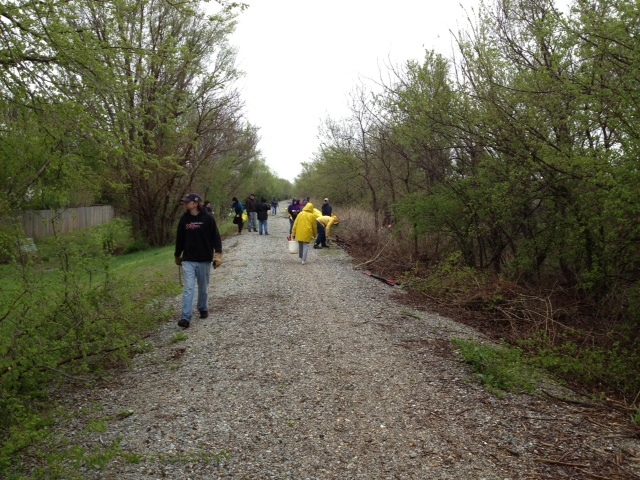 AARTI trail work day for the RedBud Trail is the 3rd Saturday of the month. Board meetings are the 3rd Wednesday, at Andover Public Library ~ located in Andover Central Park at 6:30 pm. 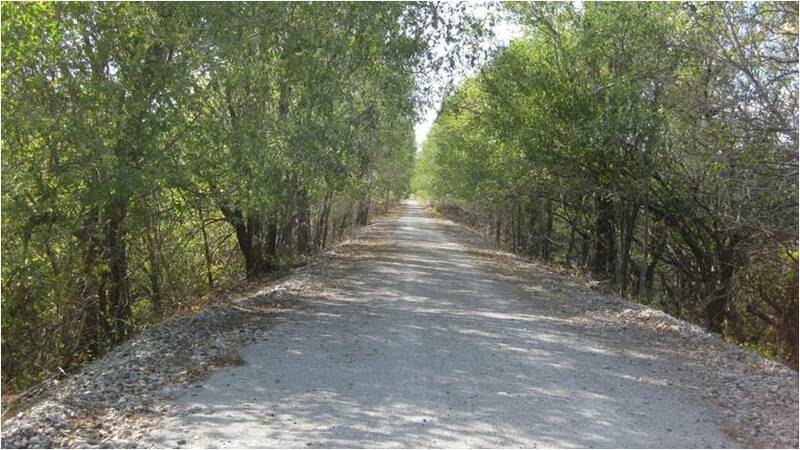 Our normal maintenance day for the RedBud Trail is the 3rd Saturday of each month at 8 to 12. Go to our Facebook account at Andover Augusta RailTrail Initiative and look under events to verify the date and the location to meet. Please like us and follow us for additional information on the trail, new developments, how you can volunteer and upcoming events and fundraisers. UPDATE – AARTI trail work day is the 3rd Saturday of the month. Like us on Facebook for additional updates. AARTI has been awarded a Health & Human Services grant managed by Central Kansas Community Foundation – Butler County. The Grant for $750 was made possible by K.T. Wiedemann Children’s Fund and Kansas Health Foundation Children’s Fund. Thank you!!!! 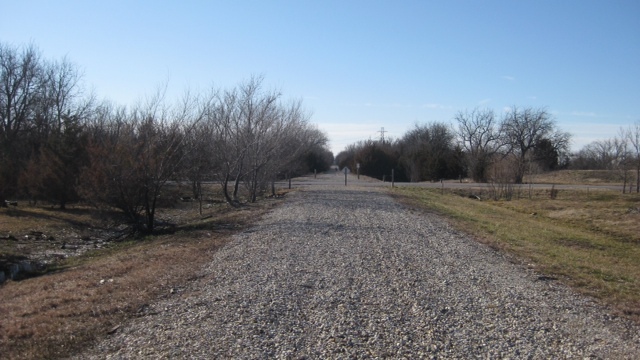 With Andover’s TE grant to provide the 10′ wide concrete sidewalk / trail from 159th to the 13th Street Sports Park on the Redbud Trail and Augusta’s grant will help renovate the Frisco Depot in downtown Augusta our vision is starting. We would could use your support.